Here’s an easy way to enhance the appearance of any GM 10 or 12-bolt rear end setup. ARP’s stainless steel rear end cover bolts offer a lustrous contrast to a painted OEM cover or perfectly compliment a chrome plated aftermarket version. 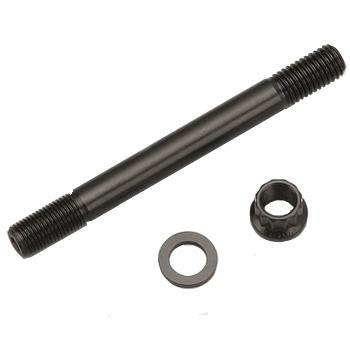 These sturdy 170,000 psi bolts are much stronger than stock (or even Grade 8) hardware, have precision machined threads for secure engagement, and won’t rust. The best! Washers included.